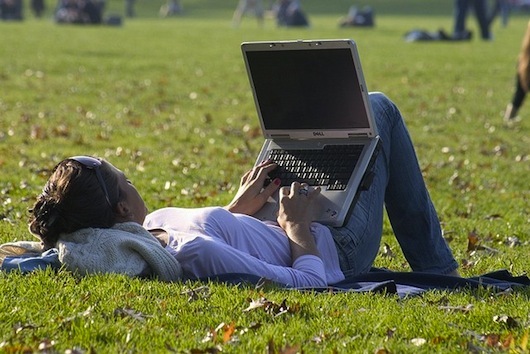 Holiday Shortlist – Where Is Everyone Heading In 2013? When planning your holiday, the world is your oyster. All you need to do is sit back, use your imagination and think about the sort of break you need. To help inspire you, here is a shortlist of where everyone is heading for their holidays this year. Sun, sea and sand is an all-time favourite and with its countless, colourful islands and all-year sunshine, The Caribbean is the perfect holiday spot for those that are after these features. The stunning scenery, white beaches, water sports and colourful local culture make Club Med holidays in this beautiful part of the world, a fantastic choice for all ages. Another top location is the Indian Ocean, with its remote and peaceful islands and all-inclusive, unique resorts. Speaking of accommodation, do you fancy relaxing in your own private room, built above the lapping ocean waves? Check out what’s available in this part of the world, because it is rather special. The rich cultures and incomparable beauty, make Asian destinations like Thailand, China and Malaysia very popular with western visitors. Another highlight of a break in this exotic region is the cuisine. What isn’t there to like about Europe as a holiday destination? Any visitor is spoilt for choice, whether it’s French cuisine, Italian art, extreme sports in Croatia or the healing waters of Central Europe that pique their interest. Of course, European destinations such as France and Switzerland also offer some of the best skiing in the world for all the family – perfect if you want some winter fun. The Middle East and Africa are home to some of the oldest civilisations, a fact which is reflected in the ancient ruins that the regions are famous for. Vast nature reserves in South Africa add to the exotic appeal, while activity holidays in Egypt satisfy the appetite of any adventurer. Stretching from the freezing climes of the Arctic Circle to the temperate Caribbean islands, the Americas are a smorgasbord of cultures, cuisines, festivals and landscapes. It would take years to discover all the delights of this vast continent, so you’d have to plan your trip carefully. If you’re thinking of heading south, Brazil is the place to go, with its vibrant samba scene, tropical beaches, golfing resorts and medley of cultural influences. 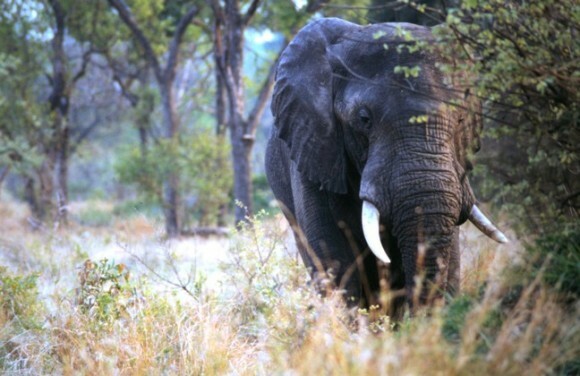 The nature in this huge country is phenomenal too, with special hikes organised for the intrepid adventurers amongst you! With its plethora of stupendous beaches and an incredibly fascinating range of mountains, Tenerife is on the wish list of millions of tourists from around the world. Whether you travel to this magnificent destination with your family, friends or with your better half, there are plenty of exciting activities to indulge in. Featuring a mesmerizing beach, Playa de las Americas is a top destination among young tourists looking to have a blast! A lively region, filled with hedonistic clubs, cabarets and pubs, Playa de las Americas is a dream come true for every wild traveller out there. Los Cristianos is extremely suitable for families and couples alike, offering numerous exhilarating activities, from fishing trips to diving excursions and countless delightful restaurants. With a buzzing city centre, Los Cristianos features a wide range of stores lined around the quaint pedestrian area, where most tourists admire the lively region. The beaches here are beautiful, with golden sands and calm waters, perfect for hours of relaxing sun bathing. One of Canary Island’s top destinations, Puerto de la Cruz is great especially when it comes to beaches and resorts. Mostly popular for the breathtaking Orotava Valley and its charming Old Town, this amazing region offers numerous stylish boutiques, along with luxurious resorts by the beach. If you happen to visit Puerto de la Cruz, make sure you pay a visit to the Loro Parque, one of the most exciting adventure parks in Spain that you will definitely enjoy! Featuring an absolutely inspiring landscape, the Teide National Park is Tenerife’s most remarkable landmark. A stunning 3,718 metres volcanic mountain, Teide’s gorgeous peaks offer an unforgettable experience. Rent a car from one of the many car rental facilities in Adeje and head to the wonderful Teide. After an awe inspiring 30 minutes ride, you will enjoy one of the most breathtaking views in Europe. 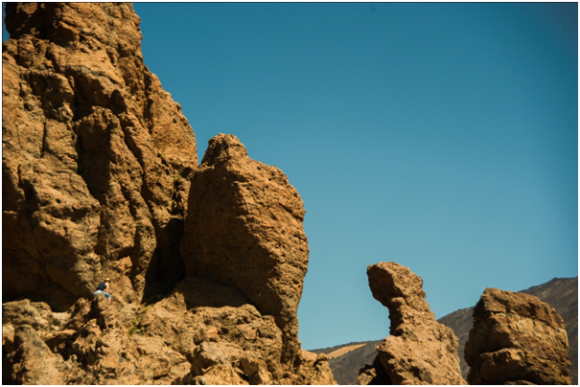 There are plenty of options to get to the Teide National Park, except from renting a car. Whether you choose to go by bus, or to take up a challenging walking tour, the experience will be definitely worth it! Tenerife is a tremendously popular destination among British and Irish, as well as Scandinavian people, so rest assured that nearly everybody there speaks English. Despite the fact that some consider it to be a luxurious destination, compared to other European resorts, Tenerife is rather reasonable. Not to mention that if you book your flights to Tenerife online you will most probably enjoy an overall affordable and delightful holiday in one of Spain’s most beautiful islands. When you travel a lot, or perhaps split your life between two countries, it’s often the case that you need to make an international money transfer. While this used to be a real hassle, today it’s so easy – and much cheaper – thanks to the presence of online currency exchange brokers like HiFX. Using an online broker, it’s simple to send money between countries and as it all happens online, the customer is very much in control of what rate he accepts and when. Whereas in the old pre-internet days you’d have to go down to the bank and queue at the foreign exchange counter or have an account with a telephone currency broker, now you can get quotes for moving money internationally at any time of the day or night, wherever you have internet access. It’s also a great fail-safe for any gap year travellers who may run low on funds as they’re travelling and working their way around the world. Their parents – or any other kind benefactor – can pay money into their bank account via a company like HiFX at any time. For parents who are waving their teenagers off on a trip, it’s very reassuring to know that they can help them out – if they need it – quickly and easily. The amounts you can move at HiFX cover a broad enough range for almost any requirements. With a minimum transaction of £50 and a maximum of £300,000, there’s plenty of scope for most individuals’ and business’ needs. Any transactions over £3,000 aren’t subject to the transfer fee, and for anything under that amount it’s only £9 per transfer. The best thing about HiFX is that anyone can move money internationally whenever they choose to, at a rate they’re happy with, rather than one they’re willing to accept. If the quote you get doesn’t suit you, you can set a target rate and you’ll receive an automatic email alert when that rate is reached; meaning you can exchange your money at the most advantageous rates. As one of the UK’s most popular and best-known travel agents, Thomson has been delivering package holidays and tailored travel experiences to gorgeous locations all over the world for decades – and it’s still going strong today. So when it comes to cruise holidays, you can rest assured that Thomson Cruises will serve up a truly memorable experience at sea. Currently, there are five ships in the Thomson Cruises fleet – Thomson Dream, Celebration, Spirit, Majesty and Island Escape. They each have their own unique character and onboard facilities that appeals to cruisers from all walks of life. 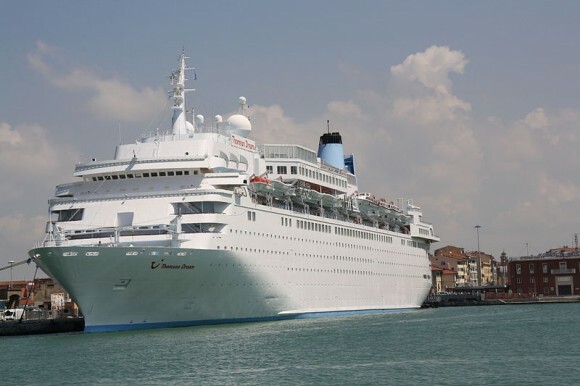 Recently, Thomson Cruises upgraded two of their ships – Dream and Celebration – to Platinum standard, which means they’ve undergone a large-scale refurbishment and now offer a more luxurious environment with plush decor and plenty of mod cons. As far as family fun is concerned, Thomson Cruises offers great child-friendly facilities like kids’ clubs and dedicated activities for younger guests. Older travellers – whether that’s young couples, parents who have escaped for a child-free holiday or footloose retirees – really have the lion’s share of entertainment with all manners of different activities and great facilities. Most ships cater to set meal times which means customers get to enjoy fine dining with waiter service and exquisite cuisine, and even special Gala Dinners complete with black tie dress and a sumptuous tasting menu. As for entertainment, Thomson really knows how to deliver the goods and serves up regular nightly entertainment in the form of West End-style shows, cabaret, game shows, casino thrills and discos. Search for Thomson Cruises and benefit from the latest special offers, or search for cruise itineraries from other popular cruise operators online at Cruise Thomas Cook. Mediterranean cuisine is renowned for encompassing some of the world’s favourite dishes, with incredible flavours and fresh ingredients characteristic of the food. The fare is even regarded as extremely healthy, making it a favourite among foodies. While recreating meals at home and trying local Mediterranean restaurants can be enjoyable, the only way to appreciate authentic Mediterranean food is by exploring the region, tasting at the likes of Italian delicatessens, French Michelin-star restaurants and Moroccan cafes. Mediterranean cruises from travel providers like Cruise Kings offer the ideal way to get a true taste of the cuisine, allowing you to visit multiple destinations across the region to develop a thorough understanding of the techniques and flavours, and truly taste Mediterranean food at its best. Here you can find some of the top gourmet experiences that you can enjoy as part of a Mediterranean cruise. Turn your holiday into a foodie tour that you will never forget. Paris is renowned being home to plenty of Michelin-star restaurants, with eateries across the city boasting finesse in dining quite unlike anywhere else. Your gastronomical experience wouldn’t be complete without a trip to at least one. One of the many standout eateries is the three-starred Alain Ducasse au Plaza Athénée, which boasts a spectacular crystal-clad ceiling alongside its incredible menu. Find out more and reserve your table here. Tagine is Morocco’s most famous dish, and with good reason. Boasting rich flavours, beautifully tender meat – preferably lamb, and delicious vegetables, trying an authentic version of this meal is a must. Look out for small, charming restaurants off the beaten track. Cruises often offer you the opportunity to stop at Casablanca, a thriving, chic city home to numerous stylish restaurants, quaint cafes and amazing bakeries. Try the famous Patisserie Bennis Habous for traditional Moroccan sweets and biscuits. Wherever you visit along the Mediterranean on your cruise, as soon as you alight the liner, you are likely to spot amazing seafood restaurants with the freshest ingredients possible. Look out for venues where you can dine outside and enjoy the sea-salt air, incredible views and sound of the crashing waves for an unforgettable multi-sensory dining experience. 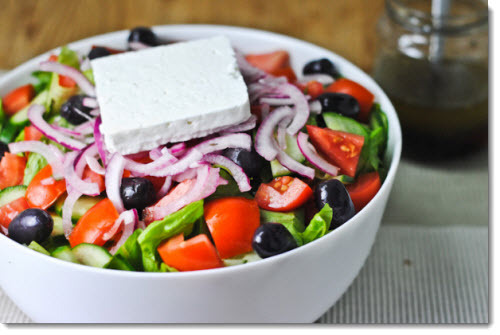 You might stop in Athens or Olympia during your trip, and while there are incredible ancient sights to behold, you mustn’t forget to visit a delicatessen, where you can try fantastic cured meats, delicious feta, Greek olives, beautiful salads and tasty tzatziki. When in the capital city, make your way to the Monastiraki neighbourhood where you will find street food vendors handing out pastries, hot lunches, intriguing teas and souvlaki. Stop for a moment to enjoy the aromas before taking your pick. Venice is one of the most incredible places to dine in the world, with a multitude of canal-side eateries offering just-caught seafood, impossibly thin pizzas and handmade pasta dishes. With a glass of Italian wine and some candlelight, what more could you ask for? 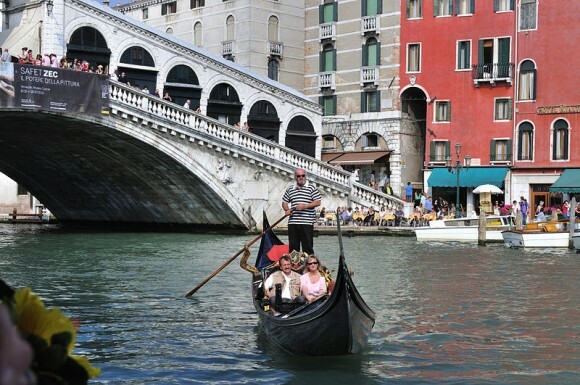 Try to get a seat by the Grand Canal where you can look out to the striking Rialto Bridge, watching as people glide past in gondolas; stop in a luxurious restaurant in the impressive and romantic Piazza San Marco, such as the Gran Caffe & Ristorante Quadri; or explore narrow cobbled streets and find those less frequented gems where the food is to die for. 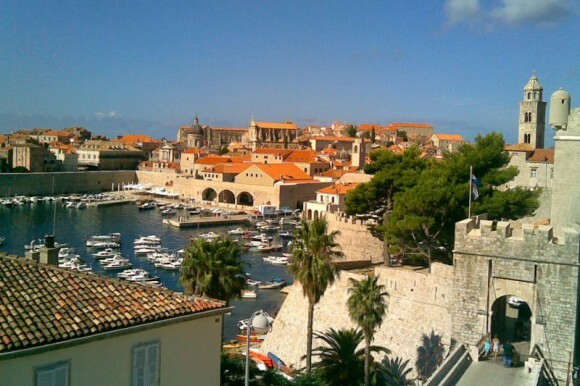 Going on for the last decade, Croatia has been the place to visit. The “unspoilt Mediterranean” paradise complete with 2,500 miles of coastline and clear waters has been a hidden gem. Not so hidden anymore, of course, the country and its Dalmatian Coast have become popular with backpackers, holidaymakers and festival goers alike. It may no longer be undiscovered, cheap and is home to overt tourism but it’s still a great place to visit. Having joined the European Union at the start of the year, there is hope for the country to enjoy the stability it has lacked for more than two decades. The interest in trips to Croatia continues to grow and the weather is warm for longer than the rest of Eastern Europe, so where do you need to go? Check out icelolly.com for great deals. We’ll start with the obvious, an amazing medieval city that is so well preserved you are unlikely to see anything else like it. Often referred to as ‘The Pearl of the Adriatic’, the marble streets allow you a wonderful chance to enjoy the beauty of this city. The 13th century was the high point as Dubrovnik was a major power and the monuments and churches reflect this golden era for Gothic architecture. With character in abundance, you will enjoy the amazing medieval city walls, the palaces of Rector and Sponza while the cable car gives you great panoramas of the city. The coastline comes complete with magnificent islands of all shapes and sizes. The various boats, catamarans and ferries available means that you should at least have a cruise out at some point. Hvar is the number one destination, a luxurious island with fields of lavender, heather and rosemary is charming in words let alone first hand. Cres is a large undeveloped island ideal for wandering around is blissful isolation while the Kornati National Park boasts 147 islands and reefs complete with evergreen forest and caves. Aside from this, you have Brac with Croatia’s most famous beach, Vis a mysterious island, Mljet which is covered in forest, Elafiti Islands, Orebic and Rab. Some are easier to reach than others and it’s worth looking in to. Croatia’s largest national park, this is natural beauty at its best. With colours changing on an almost daily basis depending on the water minerals and sunlight, it is finding and discovering places like this that whets the appetite of travellers. It should certainly be a to-do on a trip to the country. The country’s capital, it is an economic powerhouse in Eastern Europe that is the industrial and cultural centre of Croatia. 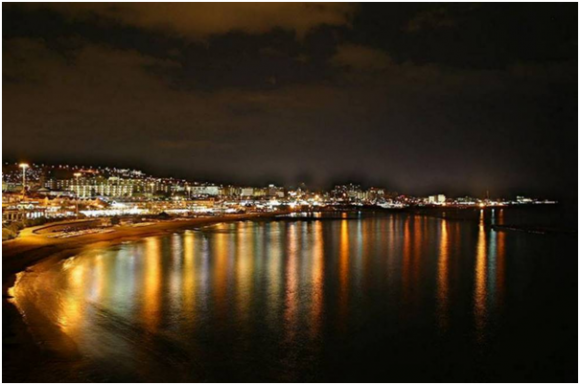 Cosmopolitan and stylish, it is a welcoming and charismatic city for those who don’t wish to spend their trip by the beach. The second largest city in the country, it doesn’t have the pull of Dubrovnik or the charm of Zagreb but it does offer a relaxing setting. It owes its beginnings to a Roman Emperor, Diocletian, who built a palace that the city is built around. The palace is a must see while the centre plays host to a market and a wealth of restaurants and cafes to enjoy. There are so many different areas in the UK and Ireland waiting to be explored that it’s impossible to decide where to go first. Tourists are simply fascinated by the culture and history they find here and many of them are actually Brits falling in love with their own lovely country. So what are the top destinations for a fantastic city break in England and Ireland? You’ll find bellow a few suggestions that will surely make it on your next holiday bucket list. One amazing city break choice for an England getaway is definitely Liverpool. This place is simply breathtaking; from a magnificent display of world-class museums to an outstanding nightlife filled with bars and clubs, everything in Liverpool will dazzle you. 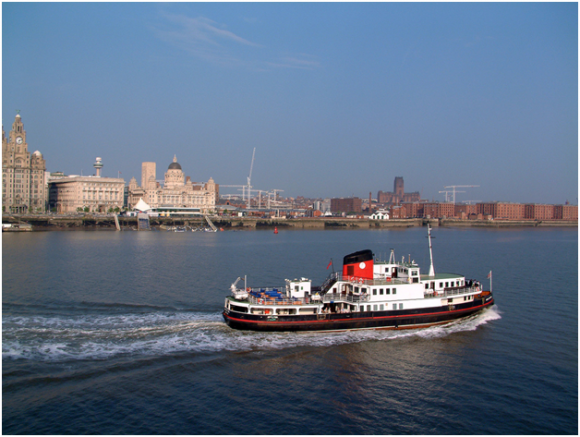 The most important places to visit are the monumental Royal Liver Building and the breathtaking modern Museum of Liverpool that dominate the city. If you’re travelling by car don’t hesitate to leave your vehicle at one of the Liverpool airport parking areas. Your car will be safe and you’ll have plenty of time to explore the city. While in Liverpool, you should take a walk around Hope Street and admire the Anglican Cathedral that thrones majestically over the city. End your evening in a nice restaurant in Tate Liverpool. It’s impossible to make a top UK holiday city breaks and not mention the startling capital of England – London. This city has so many activities and sights to explore that you’re guaranteed not to get bored at all. You can choose from a variety of accommodations while unveiling attractions such as world-class theatres, galleries, shopping, restaurants and of course, the London Eye and the Madame Tussaud’s, which are among the top choices for most travellers. 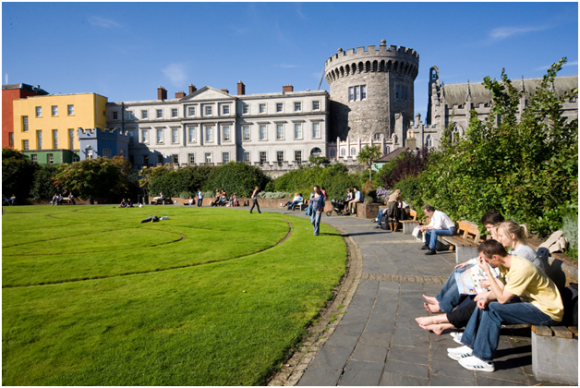 If Ireland is your dream holiday destination, then head off towards Dublin. This amazing Irish capital is a city that has so much to offer – an exciting nightlife with trendy bars, traditional pubs accompanied by good live music plus lots of family and children attractions. It’s a popular destination all year round so you won’t regret having this lovely city break. Since you can’t really enjoy the delicious Irish beer if you’re driving your car, it’s better to leave it somewhere safe and explore the surroundings by foot. Look for parking at Dublin special offers and avoid unnecessary holiday expenses. Mahon or Ciudadela – Which Resort Do You Select For Your Menorca Holiday? When you think about going on a Menorca holiday, you will undoubtedly come across the 2 main resorts of Mahon [sometimes seen as Mao] and Ciudadela [sometimes seen as Ciutadella]. However, which one is best? Below is a very brief overview of both resorts and hopefully this will help you come to a decision. Firstly, you may like to know that Ciudadela was once the capital of the Balearic Island of Menorca until the 18th century when this honour was passed to Mahon and since then there has been a rivalry between the two. A visit to the resort of Ciudadela will mean that you will be able to see lots of historical buildings and monuments and also if you visit during the second half of June each year you will benefit from an extraordinary celebration or fiesta of San Juan [Sant Joan] where, in this resort, you will be able to enjoy this spectacle with horses and riders making their way through this historic town. 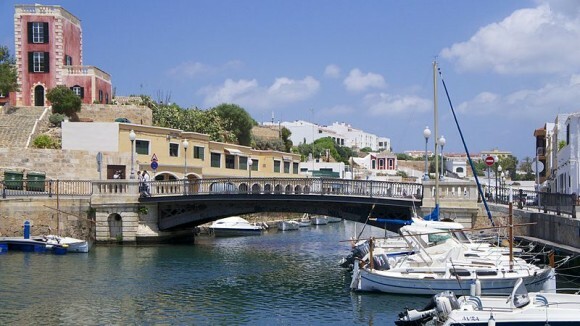 Ciudadela is located on the opposite side of Menorca to Mahon – on the west coast and site high above its harbour. The more modern in appearance of the two resort, Mahon still has plenty of history to offer visitors especially in the surrounding areas of the main town which is packed with historical military constructions -in fact look out for Fort Marlborough which has been converted into a museum and is probably the most popular one to while away a few hours. Although Mahon is the capital of Menorca, the overall feel of the city is one of a smaller town. The majority of people arrive into Mahon from the airport [located just 5km away] and therefore miss out on the best way to arrive – by boat into the lovely port. As you can see, there is very little to choose between the two resorts, but take you time in making your selection before heading off on your holiday in Menorca. Packing for a holiday can be stressful as more often than not, you’ll find yourself packing twice as many clothes as you’ll ever wear. Packing for a family holiday is even worse, especially if your children are begging you to pack all of their favourite toys, electronics and gadgets. Let Cosmos holidays ease your preparation – follow our top tips for holiday packing below. Although an extra large case might seem like a good idea, the weight might make it difficult to lug around the airport and you might also find it difficult to fit it into a taxi. Instead, choose some lightweight medium size suitcases and simply share everything between the cases. Don’t give cases to your children, either, unless they’re actually carrying something useful. 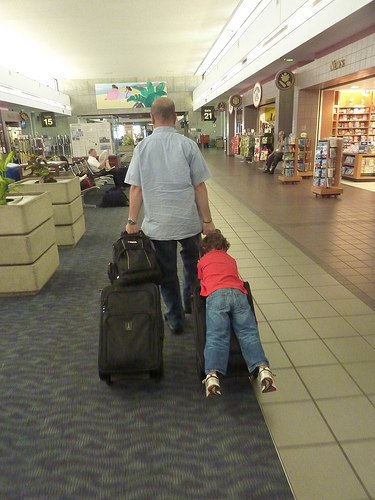 You should also double check the luggage allowance of your airline, as some will allow one case per person but if you’re travelling with infants or babies that don’t have their own seat, this may not apply. Although you’re going to want to keep your carry-on luggage as light as you possibly can, it’s a really good idea to pack at least one outfit change for each traveller – just in case the worst should happen and your cases go missing. That way, you’ll all at least have one change of clothes to tide you over until your cases either arrive or until you can buy new clothes. Taking your children’s favourite toys on holiday is all well and good, but if the toys are big and bulky, they’ll take up valuable space and weight in the cases. Instead, let your children each choose a quiet gadget device, such as a personal MP3 player, tablet or handheld games console, as well as a cuddly toy or books. Make sure that whatever they choose can fit into a small backpack that they can wear and let them know that they are going to be responsible for it. This way, you avoid bulk and save space in your checked luggage. Likewise, try to avoid packing bulky beach towels – they’re heavier than you might think and they take up far too much space. Take the advice of Netmums and simply buy cheap towels when you arrive and leave them there, as this gives you more room to bring souvenirs back! Folding and packing clothes in thin layers takes up a lot of space in your case and it’ll also leave you with creased clothes. Instead, roll clothes – they stay crease-free and you can fit more in. Use the space in your shoes to stuff socks and underwear and get rid of boxes and bulky packaging on toiletries so that you can fit more in. Miniature toiletries from hotels are great for taking on short holidays, or you could simply decant your products into smaller bottles to save on weight and space. Think about taking products that have more than one use, too, such as 2-in-1 shampoo and conditioner, lip and cheek tint and primer and moisturiser. For travellers seeking out of the ordinary fun, Paris provides an abundance of activities to fulfil diehard thrill seekers. Our friends at Hostelbookers.com have listed their Top 5 places of where to go to find activities to indulge in for those seeking adventure in the City of Light. This simulated sky dive is placed in a tunnel that creates winds up to 155 mph. This is one of the most realistic free-fall experiences in the world. You are given brief training before taking the dive and proper attire is provided. You are also instructed about various positions to use during the fall and ways to communicate while inside the tunnel. There will be physical requirements and reservations are needed. But for anyone holidaying with an adventurer and are not so into taking big risks yourself there is also a racetrack with go-karts for adventure on the ground. Visitors can find this adventure at 199-203 route de Pontoise. “Paris is a feast” said Hemingway and this one is specifically for adventurous foodies! At Dans Le Noir you can get back in touch with your lost senses. Choose from a decadent menu for seafood and meat lovers such as grilled octopus and whiskey marinated filet mignon but vegetarians are most welcome to feast on grilled Portobello mushrooms and vegetables. Dinners include a starter, entree, and dessert. The ultimate foodie can opt in for a surprise menu, which is actually recommended when dining in the dark. Of course this is the whole point since the French emphasize using all the senses when experiencing great food. Dans Le Noir is located at 51, rue Quincamopix. For those who love venturing to new heights (see what we did there) the tower provides a spectacular view of the city. 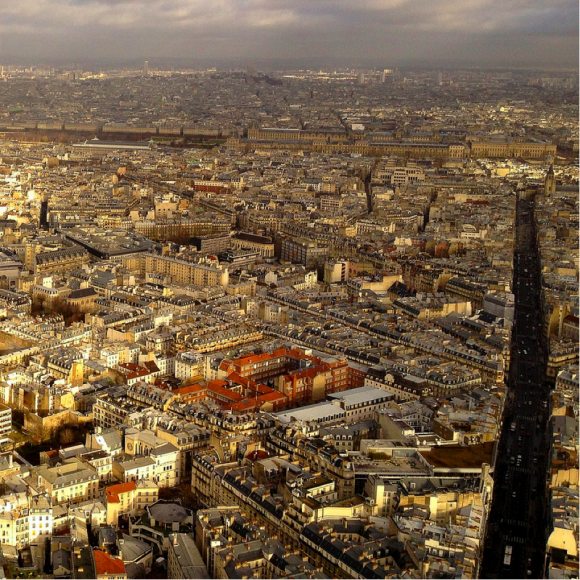 With 59 floors and reaching close to 700 feet at the roof, the tower provides a stunning 360 degree view of Paris as far as the eye can see. The elevator, reportedly Europe’s fastest, will get you to the top in a mere 38 seconds. After experiencing the city at massive heights, enjoy dinner at the 360 Café a panoramic bar or stop at beautifully designed Le Ciel de Paris for gourmet dining. The tower is located at 33 Avenue du Maine. Play among the tree tops at this unique adventure park that resembles a medieval forest. There are several activities to enjoy for all ages and different levels of thrill seeking. Activities include quad rides, a Tyrolean jump, and a medieval village to explore. The great part about Carisiolas is that there is fun to be had for the adult as well as the child. The park is located in Crisolles, a little more than an hour north of Paris. For those who have already been to Disneyland, it would make an equally great day trip while visiting Paris. Every Friday evening thousands of roller skaters journey through Paris on a course that is around 25 kilometres. The event can get pretty raucous, especially near the front. But it’s a great physical activity and a way to be involved with thousands of locals as well as travellers. However it must be said this is an event for experienced skaters only. Being able to nimbly manoeuvre and quickly stop is necessary to thoroughly enjoy this activity. The skate starts at 10 pm at the Montparnasse Train Station and ends at the same place.